Happy hump day. I can't believe the week is almost over. Contrary to many of you, I'd rather have it longer since I don't have lectures this week. Ah, good times are soon over. The problems on blog front goes on. I would like to write again, in case you are having any problems seeing the content please let me know. What about a little powder? I like powdery scents myself when they are not overpow(d)ering. 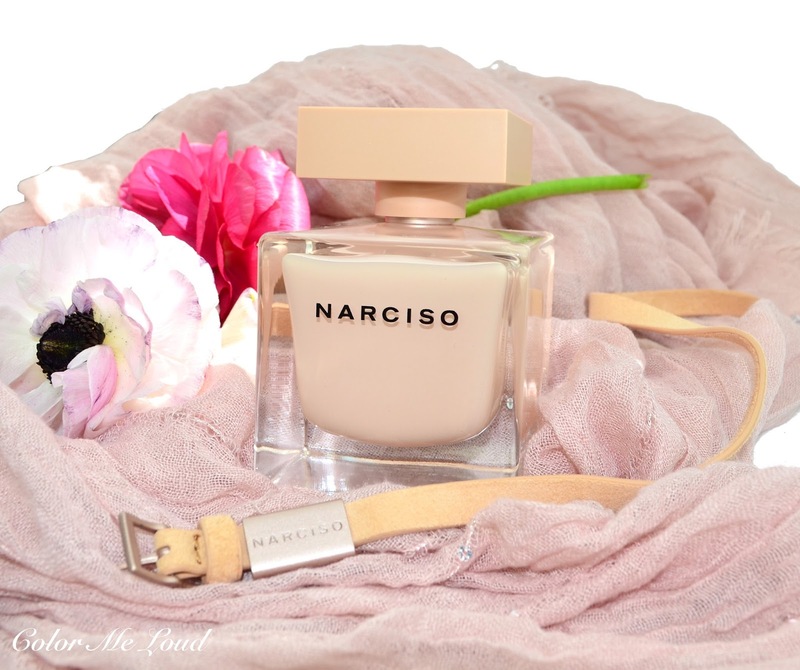 I find the original Narciso EdP to be a lovely musk perfume I especially enjoy during Fall. It has a dryness to it so I need to be in mood to wear it, it is definitely unique and nothing like the mainstream syrupy floral/ sweet fruity designer fragrances. Narcissi juices are all pleasantly woody and musky, aaah, love. But then again, EdT version was a little easier to wear, yet dryness was there. 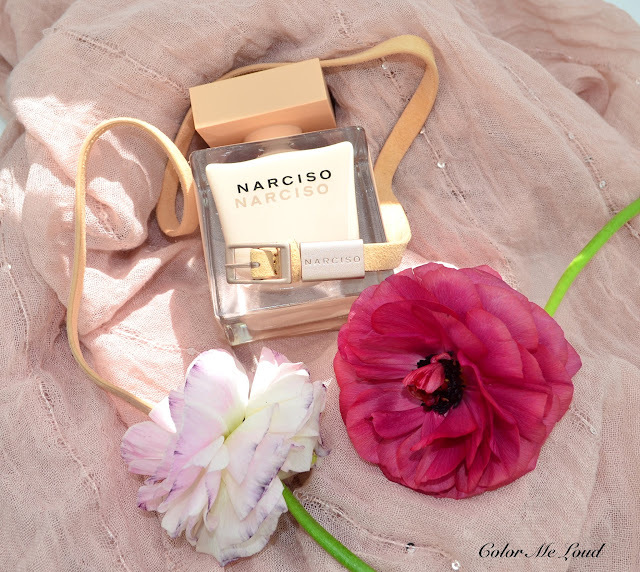 Right in time when I was thinking if they could make it warmer, a little less clean to cut its dry edges a little for us to enjoy its gorgeous heart while bringing it closer to being a body scent, they came up with Narciso Poudrée Eau de Parfum. Jasmine definitely adds a sensual body like feeling while coumarin makes it less clean, more earthy compared to the original. Narciso Poudrée is insanely long wearing. Just a spray and you can smell it 12 hours later on your skin, an impressive performance. As much as I believe it is not a summer fragrance, I think it is one of the best designer perfumes released recently. Definitely make sure to check it out. Check out the lovely reviews of Melanie and Linda too. Final thoughts: A light powdery woody feminine fragrance which lasts and lasts, to me Narciso Poudrée Eau de Parfum is the best version of Narciso series so far. Two thumbs up for one of the most interesting and alluring designer releases of the last months. Are you in game for a little powder? 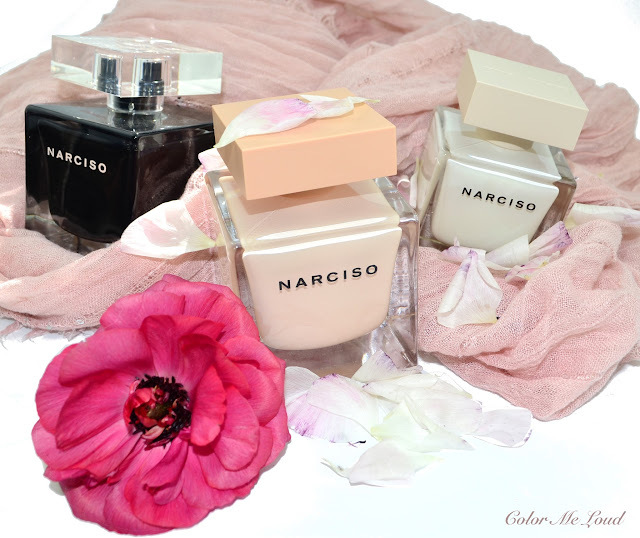 Ich habe auch alle drei - Narciso EdP, Narciso EdT and Narciso Poudrée EdP - wobei ich vom Narciso Poudréenur eine Maxi-Probe habe. Alle 3 mag ich an unterschiedlichen Tagen und zu unterschiedlichen Stimmungen, wobei Narciso Poudrée sich zu meinem Liebling entwickelt. Just wanted to comment that although the page loads ok for me, it's extremely slow and skips when I try to scroll through your post. I'm viewing it on Chrome, and don't know if it has anything to do with it, but if others are experiencing what I'm experiencing, it might account for your drop in page hits lately (that you mentioned in your other post). It's pretty frustrating, and even now when I'm trying to leave a comment, it sometimes lags. Aw man, I have to try it! :-) I love the original, but I'm dying to try this new version too now.